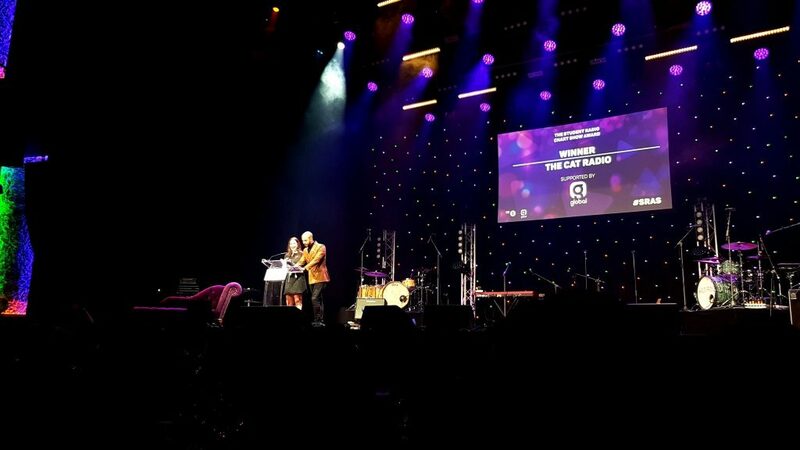 The Cat Radio Award Winners 2019! The Cat Radio Awards are Coming! We’re Winners of an SRA! We are extremely proud to report that The Cat Radio has won a major national award this week! 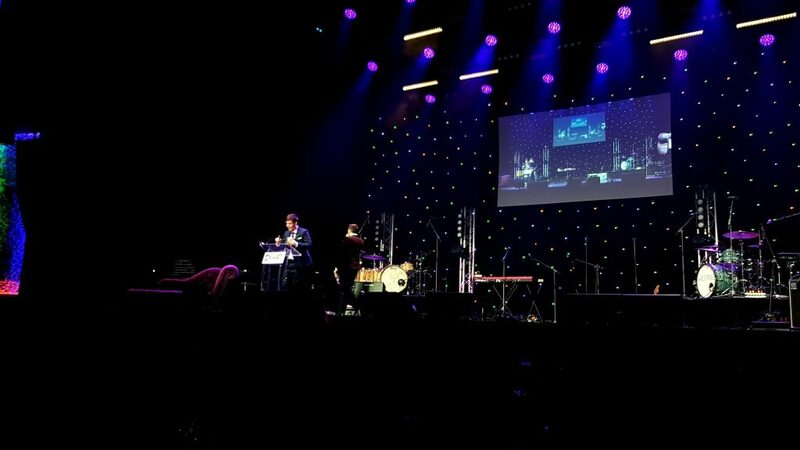 Our Student Radio Chart show picked up Gold at the prestigious Student Radio Awards in London on Thursday night. The awards took place at indigo at the O2 in Central London and was supported by BBC Radio 1 and Global Media & Entertainment, hosted by BBC Radio 1’s, Abbie McCarthy and Capital’s, Aimee Vivian! This year there were over five hundred entries across sixteen categories. The awards are judged by over one hundred industry professionals to produce a shortlist of six nominees in each category. The nominees are then whittled down to a Bronze, Silver and Gold award winner by some of the biggest names in radio. Student stations are invited to host the chart show each year. In March 2018 Richard Wolfenden, Michelle Homan and Craig Taphorn presented the programme that is syndicated on student stations up and down the country. Will Dell and Cat Warren produced the programme. An interview with 2017, The Voice UK winner, Mo Jamil featured on the show. Mo has also been a guest coach on the 2018 series of The Voice UK on ITV and actually featured on the channel the night before the chart show on The Cat Radio, singing his new track. 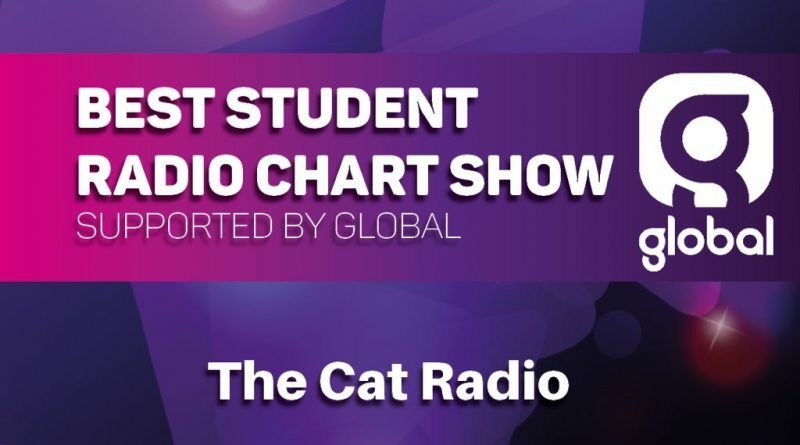 ABOVE: The best student radio chart show was revealed on the night by the hosts of the Vodafone Big Top 40 and Heart/Capital presenters, Marvin Humes and Kat Shoob! ABOVE: Presenter Richard Wolfenden collects the prize on behalf of fellow presenters Michelle, Craig & producers Cat & Will as well as The Cat Radio. Will Dell’s ‘The Mind Guide’ was also nominated in the best Podcast category. The Mind Guide is a five-part podcast series all about Mental Health and Wellbeing. The Mind Guide was created to coincide mental health and wellbeing awareness week in May. The episodes were: Substance, Lifestyle Medicine, Mindfulness, Chasing the Stigma and Take a Walk. At the end of each episode, listeners were invited to join in with ’60 seconds of meditation’, to relax to some soothing, relaxing sounds. Copyright © 2019 The Cat Radio. All rights reserved.